The international oil company (IOC) Royal Dutch Shell plc (Shell) and the Abu Dhabi National Oil Company (ADNOC) subsidiary Abu Dhabi Gas Industries (Gasco) are preparing the front end engineering and design (FEED) work for the non-associated gas Bab Sour Gas Field Development project in the United Arab Emirates (UAE). 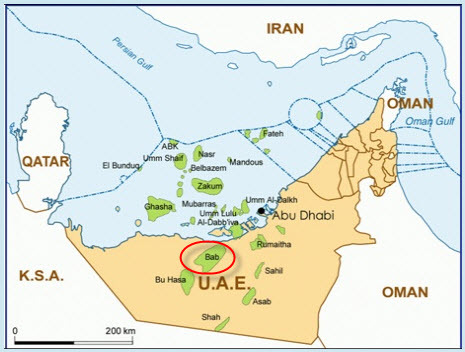 Located 150 kilometers southwest of Abu Dhabi, Bab is one of the largest gas field in Abu Dhabi. Despite its easy access as onshore field, Bab has always stood as a challenging reservoir because of its high concentration of hydrogen sulfide (H2S) and carbon dioxide (CO2). If Abu Dhabi is an Emirates rich of oil, it is permanently running short of gas as its consumption is now exceeding the production for years. With a natural gas domestic consumption increasing by 11.3% per year, Abu Dhabi is importing gas from Qatar through the Dolphin pipeline. Except Iran, Iraq and Qatar, most of the Gulf countries are struggling to produce natural gas at the scale of their needs, mostly to generate electricity or desalinate sea water and to feed their petrochemical industry. In this context the development of the Bab Sour Gas field has stood on the top of ADNOC projects list for a decade to find out the viable solutions to overcome the sulfide and CO2 issues. In Bab the gas contains no less than 50% of carbon dioxide and 15% of extremely aggressive hydrogen sulfide. In April 2013, ADNOC selected Shell after seven years of competition among all IOCs to provide Gasco with its expertise to develop the Bab Sour GAs project. According to the terms of the joint venture, ADNOC and Shell will benefit from the 30 years period to develop Bab Sour Gas field. Shell and ADNOC completed the pre-front end engineering and design (pre-FEED) work for the Bab Sour Gas Development project. From the conclusion of this pre-FEED work, the Bab Sour Gas project should require $11 billion capital expenditure to produce up to 1 billion cubic feet per day. The high content of H2S is turning the Bab Sour Gas project into a daily challenge that requires specific processes to treat the CO2 and the H2S and to handle the high quantity of sulfur that will result from the gas treatment. All these additional equipment and related safety requirements contribute to escalate the costs of the Bab Sour Gas Development project. In a context where the oil and gas prices tend to free fall the decision from the Shell – ADNOC joint venture to prepare the FEED reflects the confidence of these companies to develop Bab Sour Gas project with the technologies to be competitive and in a long term perspective where energy costs can only go up. 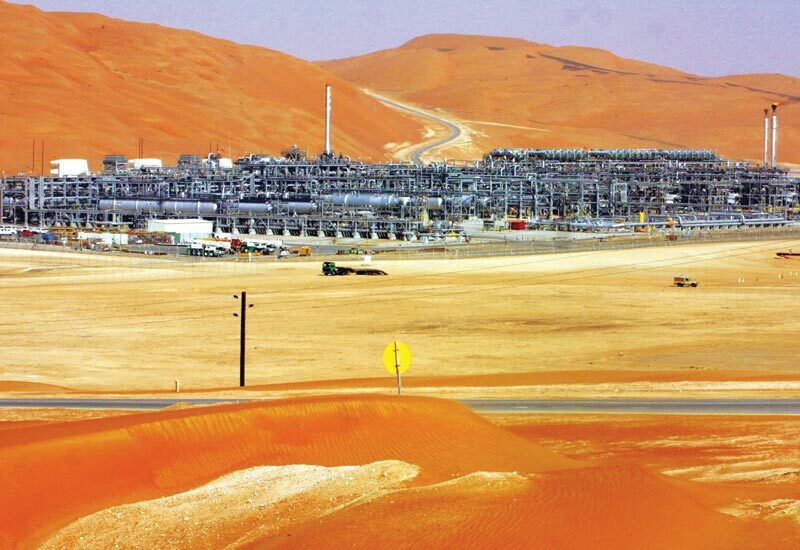 Assuming the FEED work to begin in 2016, Shell and ADNOC expect that Gasco should be able to operate the Bab Sour Gas Development project first production by 2020. Online lending company provides a wide range of ways to get money by means of Tennessee Payday Loans. Moreover, to order Cialis Daily online is highly advantageous because it interacts well with the small portions of alcohol and food.